The adult moths of this species have brown forewings, each fading paler along the costa and along the hind-margin. The hindwings are pale brown. The moths have a wingspan of about 0.7 cm. 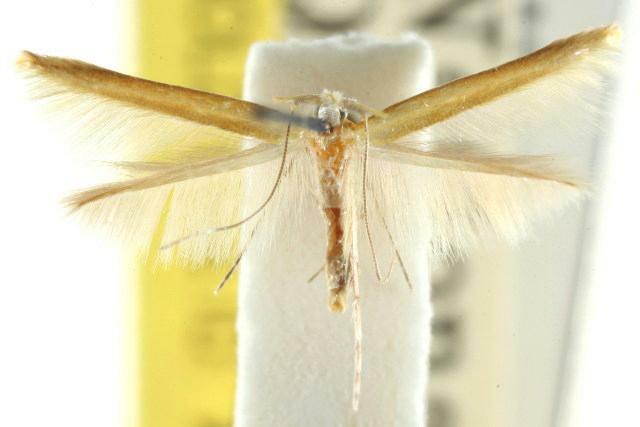 The moths are similar to Hierocrobyla sporodectis except for extraordinary spikes at the base of each antenna. Volume 47 (1923), p. 180.